Americans were safely evacuated from Yemen. camera (AP Photo) Police troopers stand guard at the entrance of the U.S. Embassy in Sanaa, Yemen, Feb. 11, 2015. All remaining U.S. embassy staff, including the 100 Marines guarding them, have made it safely out of Yemen on a private Omani jet that took them to Oman's capital of Muscat, the State Department said today. 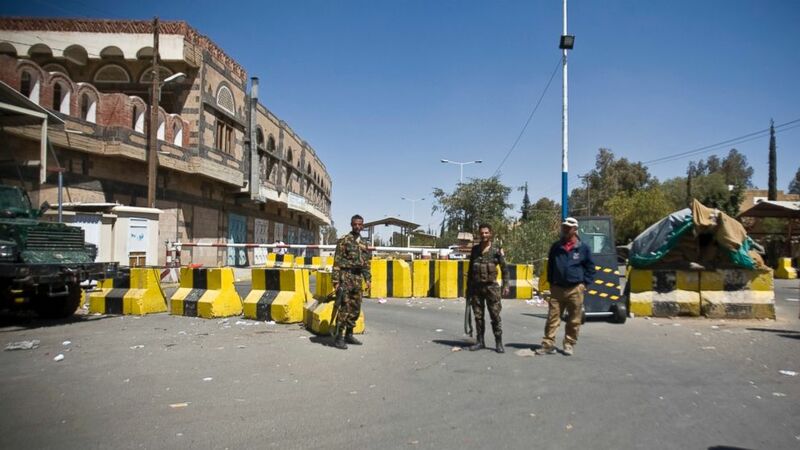 A decision was made to close the embassy until further notice because of violence and civil unrest stemming from the Houthi rebel takeover in Sana’a, officials said. The evacuation lasted about six hours on Tuesday as various convoys made their way to the airport, but the State Department spokesman acknowledged today that not everything went as planned. The vehicles were mostly armored SUVs, officials said. Initially there were reports that the Houthis confiscated Marine weapons, but the Marines later disputed that account. The Marine Corps said, “No Marine handed a weapon to a Houthi, or had one taken from him." Now that U.S. personnel have been removed, the concern has shifted to maintaining a counter-terrorism relationship with the fractured Yemeni government. The former president of Yemen, currently under house arrest, had been a critical partner in attacking al-Qaeda operatives in the region. Though the Shia dominated Houthis are not allied with al-Qaeda, there is a serious concern in Washington that they could end the partnership. Yet, Pentagon officials expressed confidence that the missions will continue in the near future. “We still have special operations forces in Yemen, we continue to conduct counter-terrorism training with Yemeni security forces, and we are still capable inside Yemen of conducting counter-terrorism operations," Pentagon spokesman Rear Adm. John Kirby said Tuesday. Meanwhile, the State department has not said where its embassy staff will be based in the interim and would not disclose who is responsible for guarding the building while the Americans are gone.